The year is over. Merry Christmas to all of you with Christmas Special 2! Whether you like it or not, this time of the year is here again, and the Weekday Escape brings several Christmas-themed games, peaceful and relaxing. Amajeto locks you in their typical living room, fully decorated in red and green. 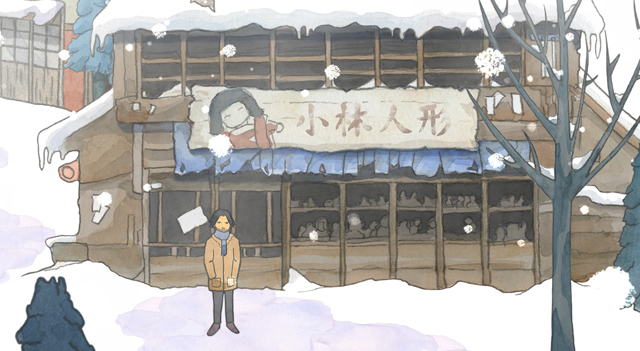 Nekonote takes you outside to dreamy snowy land to help to deliver presents. Rinnogogo wants your help too, and it's urgent - Christmas would be ruined without it! Esklavos lets you on your own in deep forest, and you need to make some presents to get out. Bart Bonte doesn't want you to escape from anywhere, you just need to get through forty puzzle levels. It's time for the trip to the past, it's Retro Weekday Escape time! This WE is one-dev show, all games it contains are exclusively by Neat Escape (except bonus game). Few years ago they released five shorter escapes, with the rooms following one after another and located in the same building. Also, collected items are transferred from chapter to chapter so you can use them in another room. Puzzles are clever and using items very intuitive - not many creators allow you to use an item which you would use in real life, but insist, instead, on finding special tool. Not Neat Escape. Very well done! Bonus game by Fuamu is simply gorgeous. Hello! The week is over and another Weekday Escape here! Back to the roots of genre! Three escape games - by Maymay, Dasyutu and Maroya - are very classical and as close to the core as possible, just puzzles, codes, hints and clues. Graphics is basic, no music, only clicking sound here and there, and no story (almost). All three games are very well done though and definitely entertaining! Neat Escape, on the other hand, is colorful, with polished graphics, pleasant music and a lot of adrenaline.